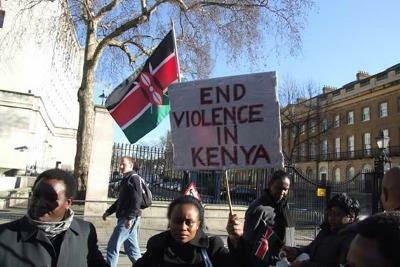 This picture was a calling from Kenyans abroad for the end of violence sparked off by the 2007 General elections. The just concluded general elections had seen Kenya being sunk into ethnic clashes resulting from the politics of ethnicity. The end result of this was the formation of the Grand coalition Government.